Investing in replacement windows can improve your home’s comfort and curb appeal. That said, it is essential to work with trustworthy window installers to ensure your windows perform optimally. 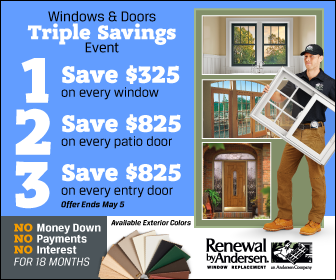 With Renewal by Andersen® of St. Louis, you can expect your windows to perform as expected. Let us talk about what you can expect on the day of your windows installation in St. Charles, MO. Expect us to arrive on schedule, along with your St. Charles, Missouri, energy efficient windows. We will review the scope of the job to make sure that you know what to expect from our installers. You can also expect us to be courteous and polite, as we’ll listen to everything that you say. We take proactive measures in keeping your home clean and in protecting your valuables. We will wear protective gear and footwear to keep your interior free of outdoor debris. We will also lay down drop cloths and move your furniture away for their safety. We will remove and dispose of your old windows then start working on installing your new casement windows in St. Charles, MO. We will apply insulating foam in the gaps between your home’s window frame and new windows to make sure your windows are airtight. Once we finish installing your windows properly, we will check if they are working well. You can also try operating them to ensure that you are happy with their functionality. Once everything is settled, we will remove the protective film of your new windows. We will clean up any trash in your home to make sure that it remains clean like the first time we arrived. Rest assured that we will also review the replacement process with you to make sure that everything is covered. Now that you know the things to expect, give us a call at (314) 332-2364 to get started. We’ll make sure to provide you a stress-free experience from start to finish.